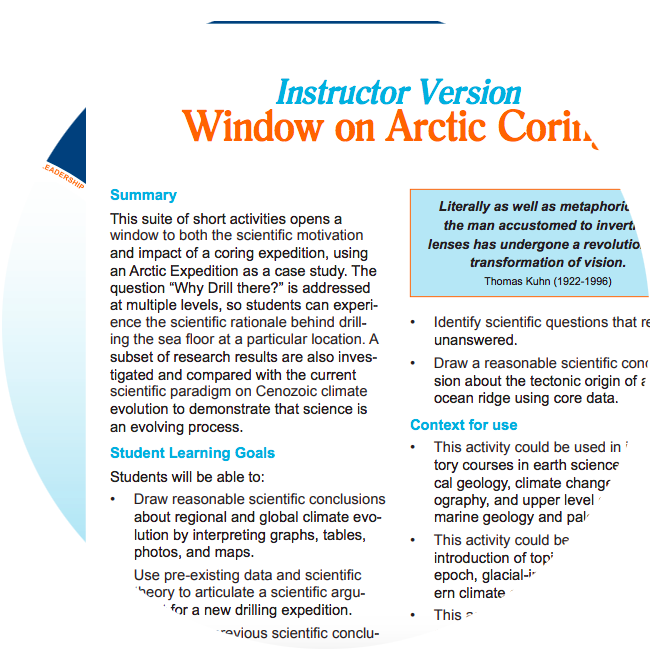 Actvity Summary: This suite of short activities opens a window to both the scientific motivation and impact of a coring expedition, using an Arctic Expedition as a case study. The question “Why Drill there?” is addressed at multiple levels, so students can experience the scientific rationale behind drilling the sea floor at a particular location. A subset of research results are also investigated and compared with the current scientific paradigm on Cenozoic climate evolution to demonstrate that science is an evolving process.